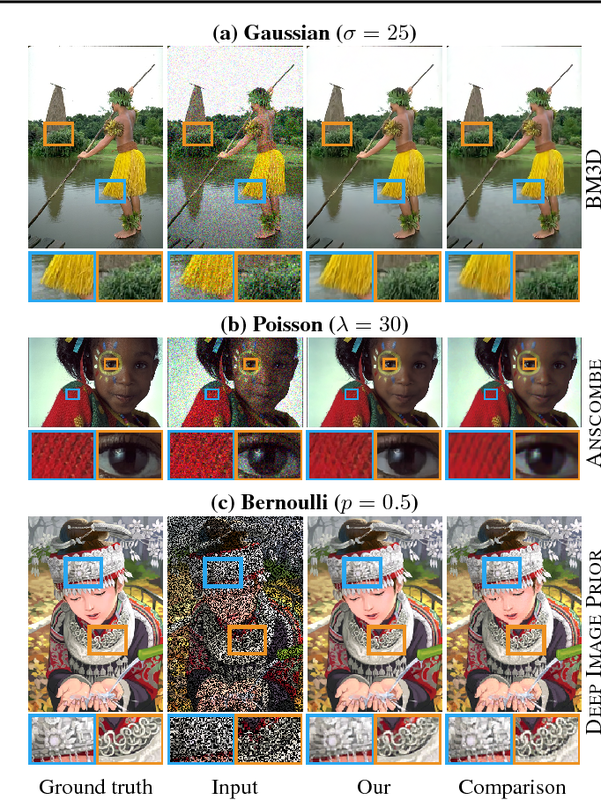 We describe a new training methodology for generative adversarial networks. The key idea is to grow both the generator and discriminator progressively: starting from a low resolution, we add new layers that model increasingly fine details as training progresses. This both speeds the training up and greatly stabilizes it, allowing us to produce images of unprecedented quality, e.g., CelebA images at 1024^2. 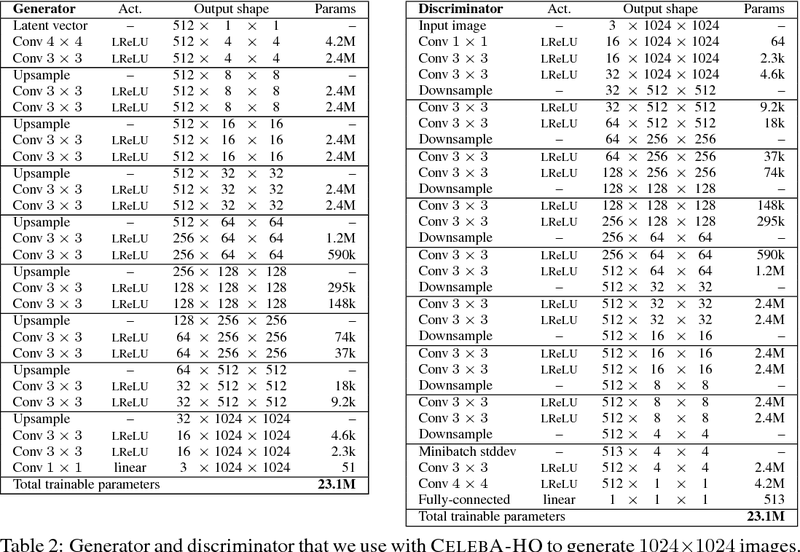 We also propose a simple way to increase the variation in generated images, and achieve a record inception score of 8.80 in unsupervised CIFAR10. Additionally, we describe several implementation details that are important for discouraging unhealthy competition between the generator and discriminator. Finally, we suggest a new metric for evaluating GAN results, both in terms of image quality and variation. As an additional contribution, we construct a higher-quality version of the CelebA dataset. 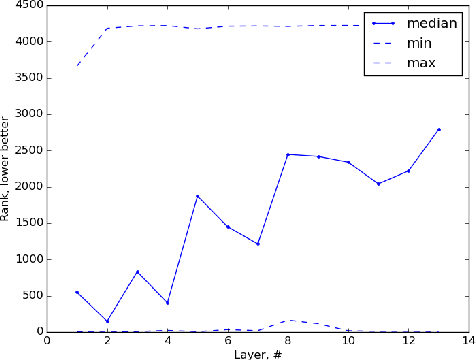 The ability to evaluate the performance of a computational model is a vital requirement for driving algorithm research. 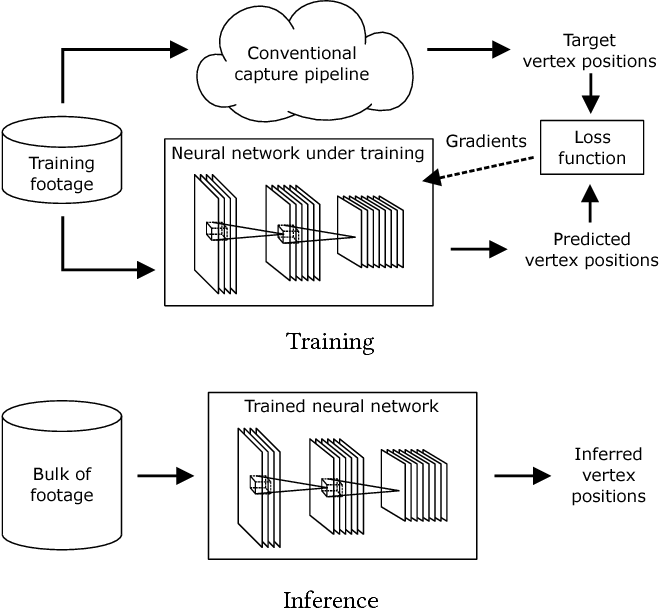 This is often particularly difficult for generative models such as generative adversarial networks (GAN) that model a data manifold only specified indirectly by a finite set of training examples. In the common case of image data, the samples live in a high-dimensional embedding space with little structure to help assessing either the overall quality of samples or the coverage of the underlying manifold. We present an evaluation metric with the ability to separately and reliably measure both of these aspects in image generation tasks by forming explicit non-parametric representations of the manifolds of real and generated data. We demonstrate the effectiveness of our metric in StyleGAN and BigGAN by providing several illustrative examples where existing metrics yield uninformative or contradictory results. 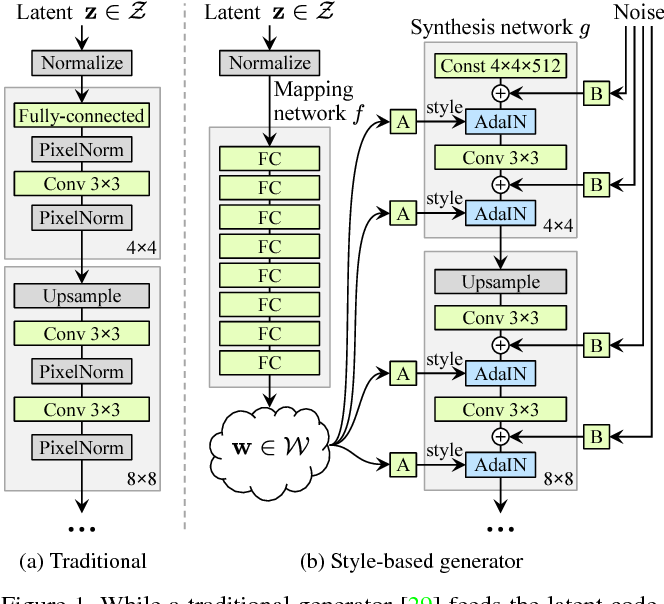 Furthermore, we analyze multiple design variants of StyleGAN to better understand the relationships between the model architecture, training methods, and the properties of the resulting sample distribution. In the process, we identify new variants that improve the state-of-the-art. We also perform the first principled analysis of truncation methods and identify an improved method. Finally, we extend our metric to estimate the perceptual quality of individual samples, and use this to study latent space interpolations. We propose a new formulation for pruning convolutional kernels in neural networks to enable efficient inference. 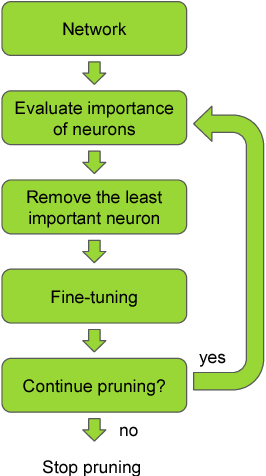 We interleave greedy criteria-based pruning with fine-tuning by backpropagation - a computationally efficient procedure that maintains good generalization in the pruned network. We propose a new criterion based on Taylor expansion that approximates the change in the cost function induced by pruning network parameters. We focus on transfer learning, where large pretrained networks are adapted to specialized tasks. The proposed criterion demonstrates superior performance compared to other criteria, e.g. 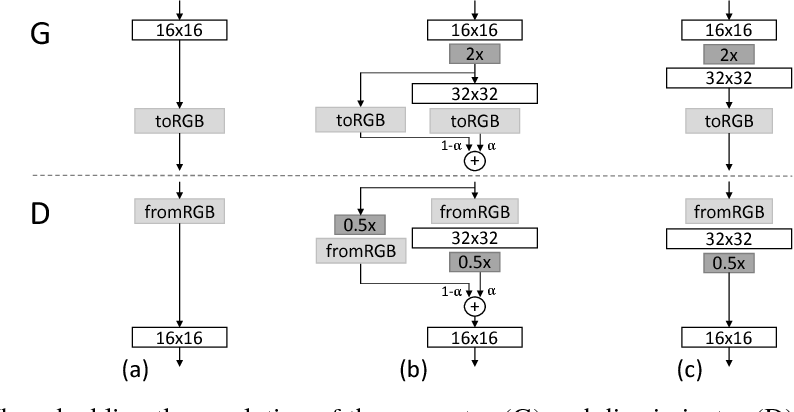 the norm of kernel weights or feature map activation, for pruning large CNNs after adaptation to fine-grained classification tasks (Birds-200 and Flowers-102) relaying only on the first order gradient information. We also show that pruning can lead to more than 10x theoretical (5x practical) reduction in adapted 3D-convolutional filters with a small drop in accuracy in a recurrent gesture classifier. 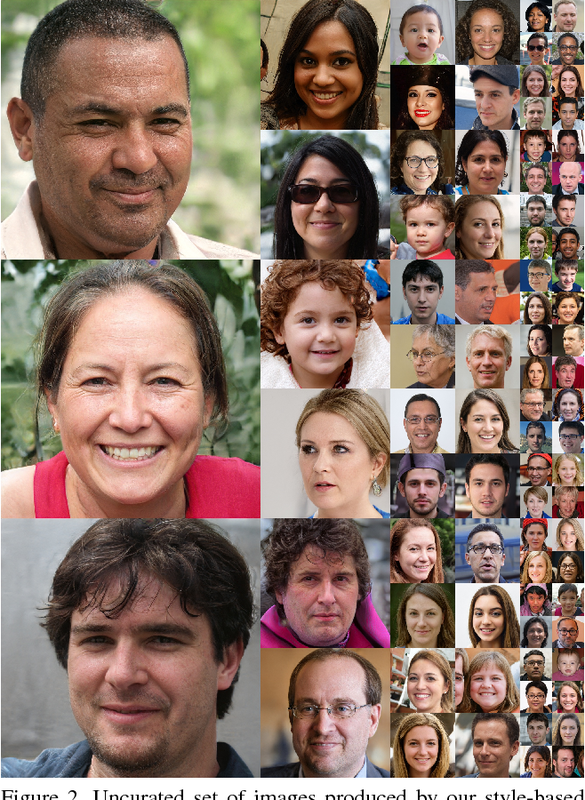 Finally, we show results for the large-scale ImageNet dataset to emphasize the flexibility of our approach. 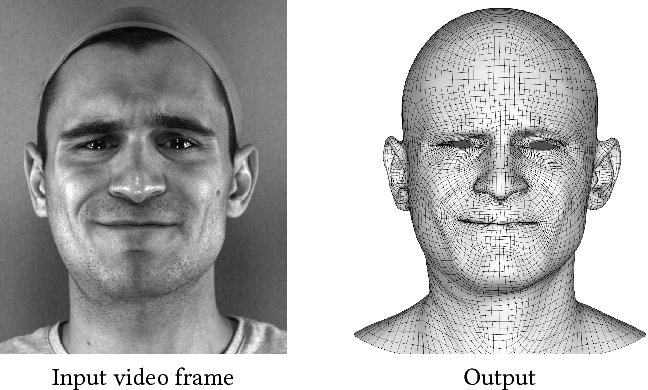 We present a real-time deep learning framework for video-based facial performance capture -- the dense 3D tracking of an actor's face given a monocular video. Our pipeline begins with accurately capturing a subject using a high-end production facial capture pipeline based on multi-view stereo tracking and artist-enhanced animations. With 5-10 minutes of captured footage, we train a convolutional neural network to produce high-quality output, including self-occluded regions, from a monocular video sequence of that subject. Since this 3D facial performance capture is fully automated, our system can drastically reduce the amount of labor involved in the development of modern narrative-driven video games or films involving realistic digital doubles of actors and potentially hours of animated dialogue per character. 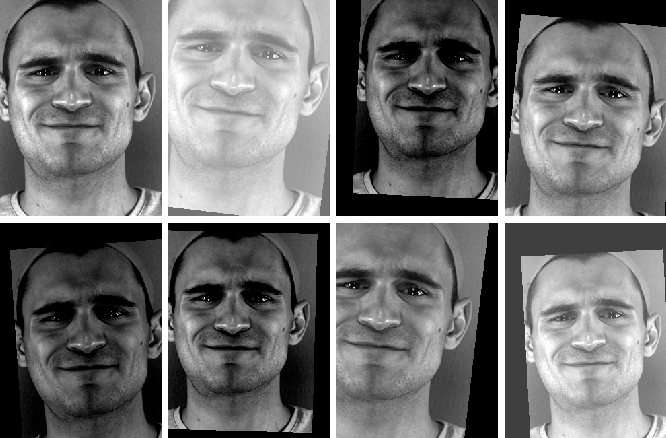 We compare our results with several state-of-the-art monocular real-time facial capture techniques and demonstrate compelling animation inference in challenging areas such as eyes and lips.